Exports of British-registered used cars to Ireland have increased almost 50% since the EU Referendum, said to be due to the weaker Pound, according to new data. Research by Fexco Corporate Payments, which looked at 3,000 transactions, uncovered a 49% increase in cross-border car purchases between the first half of 2016, and the first half of 2018. The company pointed out that the Euro-Pound exchange rate averaged 72.6p in 2015, compared to 87.9p so far this year. The company said Irish dealers had spent a fifth more on UK imports in the first half of this year, compared to 2017. Spending by motorists and dealers was up 14% year-on-year in the same period, and 66% versus the first half of 2016. 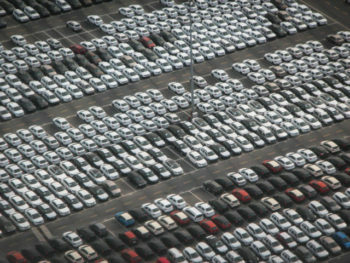 It pointed out Society of the Irish Motor Industry (SIMI) figures which showed 49,971 cars were imported as of the end of June, up 12% on 2017, and up 64% on pre-referendum levels.